If a Sugarplum is something wonderful, a delectable treat, then surely our Christmas Shortbread Pan will allow you to quickly and easily bake up platefuls of Sugarplums with which to delight family and friends. Just mix up one of the easy recipes supplied, pat it into the shortbread pan, prick with a fork and bake. About half an hour later, turn out fragrant shortbreads that look as good as they taste. 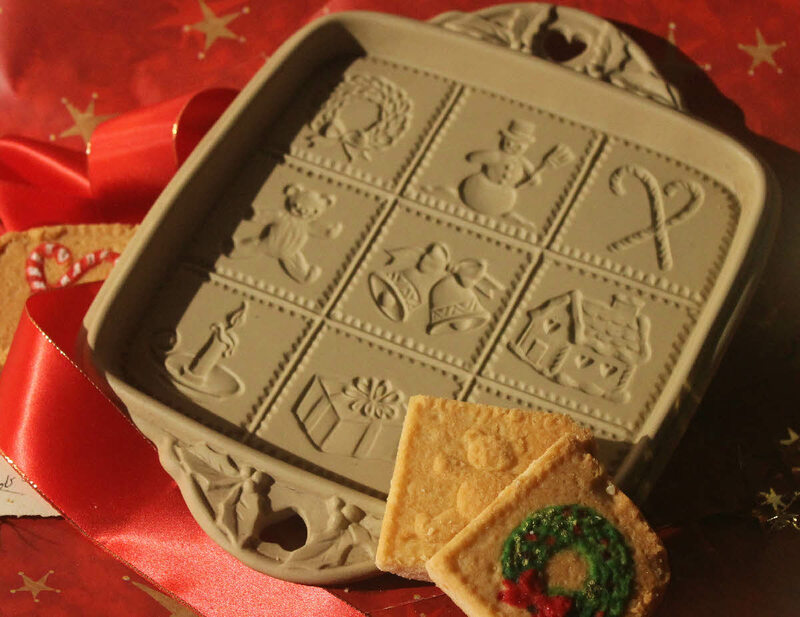 The nine segments of the pan each depict in relief a different Christmas delight. Like all of the Brown Bag Shortbread Pans, this one comes in a sturdy, attractive gift box and with complete Instructions and Recipes. 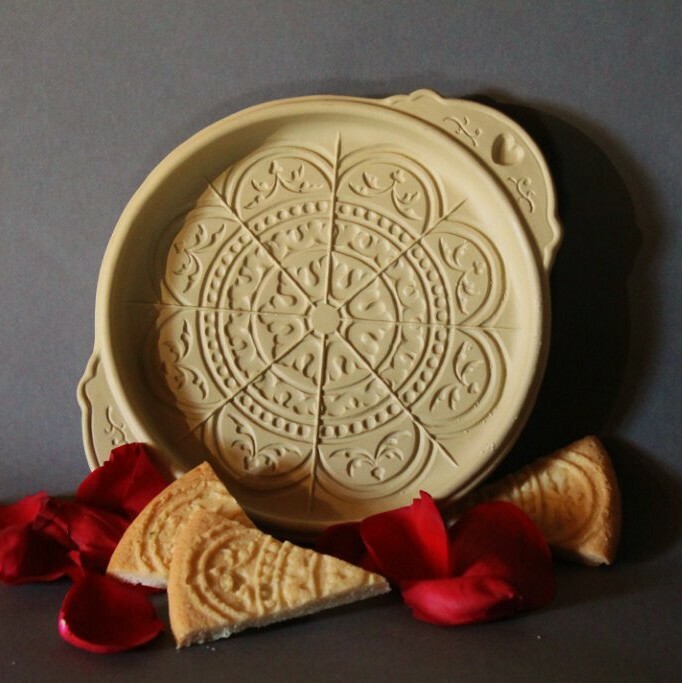 It is made of high-fired, lead-free stoneware for years of service, and is made in America. 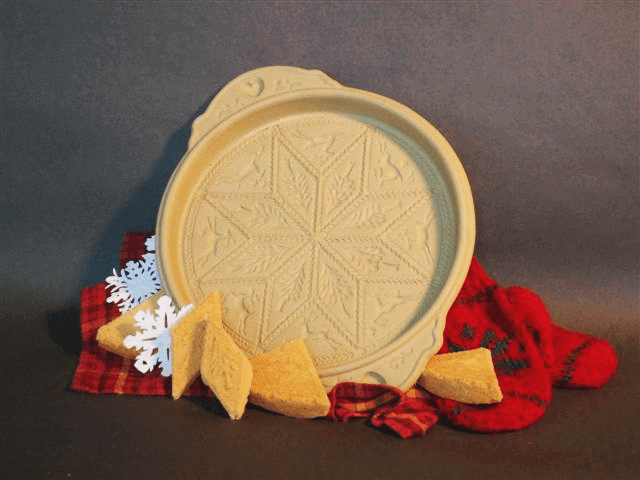 How can I purchase the Yuletide shortbread pan? See above posting. Lots of people have this question, since this strictly an informational website and not a sales site. I want to buy one of the Brown Bag Cookie Art Yuletide shortbread pans, either new or the 1993 Hill Design. Please reply with availability and price. Check out the “Find A Store” tab. If there isn’t a near-by store, you can mail order from lots of the stores listed. I know that both sweetnfancy.com and emersoncreek pottery.com carry almost all of my designs, and both ship quickly.